Heavy snow reduces visibility on Indiana 32 in Edgewood Ind. during a snow storm on Saturday Jan. 18, 2014. While the cold won’t be quite as unbearable as the Polar Vortex system earlier this month, people in the Great Lakes, interior Northeast, and northern New England can expect to be shoveling, according to Weather.com. His declaration permits propane shippers from other states to drive more hours, which “will help get propane companies resupplied so Ohioans who use propane to heat their homes can stay warm,” Kasich said. A shortage of propane gas in the Midwest and Northeast is impacting millions of homes and businesses in rural areas beyond the reach of utilities. “Propane prices in the Midwest will likely need to rise to keep propane in the region,” according to the EIA. But states’ and Americans’ wallets aren’t only affected by the cold. Snow has also depleted winter weather budgets in a large portion of the country. Chicago also slashed their winter-weather budget by more than half during January’s first storm and NBC Chicago reported that most of the money was used up in vain on sand. When snow is accompanied by sub-zero temperatures, salt freezes and is ineffective. Chicago officials announced Monday that 200 snow plows and salt spreaders would deploy during the upcoming storm “to help keep Chicago streets safe and passable,” even though the salt might not work. 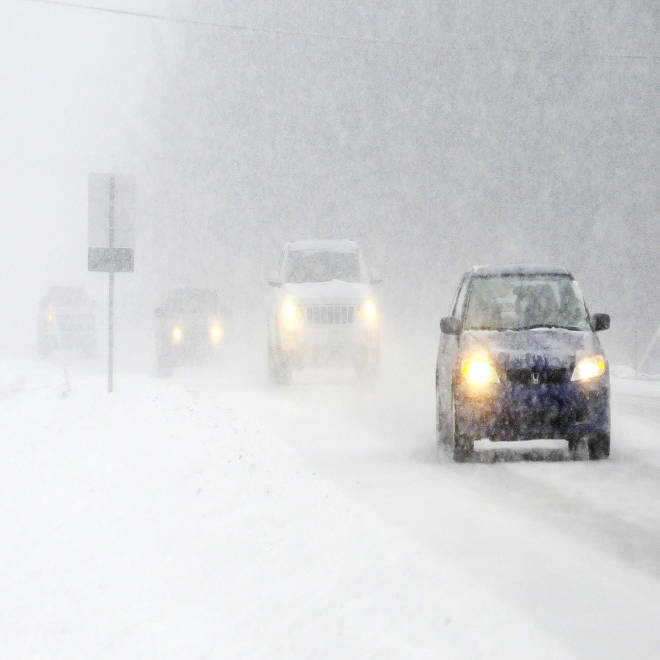 New Hampshire blew through half of the state’s $42 million winter-weather budget within the first week of the new year, said Bill Boynton, a spokesman with the New Hampshire Department of Transportation. “These funds are used to support a fleet of 700-plus snow plows that plow and treat 4,600 miles of state highways” with salt, Boynton said. “We were out there again for much of the weekend,” he said.